Our bone broths are gently simmered with organic, pastured bones, mineral-rich sea salt, organic onions, and organic garlic. The chicken bone broth is slowly cooked for 24 hours, and the beef bone broth for 48 hours. A delicious selection of Caldwell's organic naturally fermented vegetables, unpasteurized to preserve their natural enzymes, lactic bacteria, and lactic acid, which are all important for your health. The creaminess of the cheeses complements the savory flavors of the wild-caught Alaskan smoked salmon. Adds an impressive touch to anything from a dinner party to a routine afternoon snack. We're pleased to offer a trio of traditional healthy pastured fats: Ghee, Lard and Tallow. Dissolves in cold, warm, or hot liquids and will not congeal when chilled. This enables you to take a high protein product in a convenient way that suits your needs. These fully sprouted breads are cake-like, free of salt, no oils, no sweeteners, no leavening agents. Each delightful bread is uniquely flavorful and is high in protein and fiber. A selection of five 11 oz jars of delicious soaked nut butter, one of each flavor: Almond, Pecan, Walnut, Cashew, and Mixed Nuts. The sweet potatoes for Jackson's Honest Sea Salt Sweet Potato Chips are sourced from farms which never use GMO varieties of vegetables. The chips are kettle fried in organic, unrefined coconut oil. Sea salt is added to enhance the flavor, and for its numerous trace minerals. The Cultures for Health collection of mesophilic heirloom yogurt starters can be cultured right on your counter at room temperature, so it’s easy to make these re-usable varieties. Each box contains 2 packets of each culture: Viili, Filmjölk, Piimä, and Matsoni. Now you can make delicious and healthy kombucha tea. This kit provides you with everything you need to make perfectly flavored kombucha whenever you want it! And as a bonus, you get to control all the aspects of your kombucha, from the sugar, to the flavor, and the fizz. 'Fresh Fruit Anyone?' offers dozens of easy fruit recipes to make from scratch at home. There's no added sugar in any of the recipes! New! 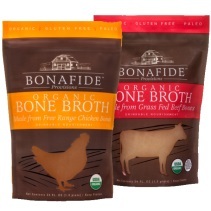 Try our Frontier Blend Bone Broth ! Selected Price: Temporarily out of stock. By ground, anywhere in the continental US. For other locations, please contact us. Click here to be notified when this product is in stock! Fatworks pure pastured lard and tallow come from animals raised by farmers doing it right: pastured, hormone free, antibiotic free, chemical free. Pure lard from pasture-raised pigs, unhydrogenated and without additives. A traditional fat, perfect for frying and sautéing, it’s also known for making delicious pastries and flaky pie crusts. Pure lard is primarily rendered from back fat. It is able to withstand medium high heat, and is recommended for adding subtle, natural flavor to your dishes. Crafted from 100% grass-fed, pasture-raised cows, Fatworks pure tallow is rendered using the traditional low-heat kettle method. An advanced fine-filtering system results in a premium tallow that meets the highest standards of gourmet cooks and all those who enjoy real food! Premium grass-fed beef tallow is a traditional fat, perfect for deep frying and sautéing. It can be used in pies, fries, eggs, chili, stews, and more. Lard should be stored in the refrigerator. Shelf life is 12-18 months when refrigerated. Tallow can be kept in your pantry and is naturally shelf stable for years. Tallow may also be kept refrigerated but will solidify, requiring a hot water bath to soften it. Shipped to you by ground, anywhere in the continental US. For other locations, please contact us. I’M LOOKING FOR ORGANIC HIGH QUALITY VEGETABLE OILS, BUT DON’T SEE ANY ON YOUR SITE. Vegetable oils that come from canola, corn, soy, cottonseed and others seeds are fragile unstable polyunsaturated fats. These oils are processed using high heat, petroleum solvents and chemicals. They are then deodorized to improve flavor and color. This extreme process creates damaged fats, also known as oxidized cholesterol. Vegetable oils are also high in Omega 6 fatty acids, which tend to be pro-inflammatory. I SEE YOU OFFER SOME SATURATED FATS. AREN’T THESE BAD FOR US? Saturated fats are stable fats, not easily prone to rancidity. Fats such as tallow, lard, ghee and schmaltz (chicken fat), along with other animal fats, are steeped in a rich history of providing nourishment in past generations. It’s only been in about the last half century that these wonderful fats became vilified as bad for us. ANYTHING ELSE I SHOULD KNOW ABOUT BAD FATS AND GOOD FATS? Without going into great detail, animal fats are comprised of a profile of various fatty acids. There’s omega 3, 6 and 9. Fatty acids come in long, medium and short chains. There are saturated, monounsaturated and polyunsaturated fatty acids. And the list goes on. Each of these provide a complex of fatty acids that can either help or harm your body. Some of the factors to consider are the source of the fats (grass fed or pastured are best), the proper processing of the fats, balance of fats in your diet, and of course biochemical individuality. OKAY … SO WHAT’S SO GOOD ABOUT THESE SATURATED ANIMAL FATS? Ghee (heat stable butter oil), butter, cream and cheese that come from grass fed cows have a complex and nutrient rich profile. Just a few of the healthy players in milk fats: vitamins A, E, D and K2, butyric acid (how butter got its name), conjugated linoleic acid (CLA), eicosapentaenoic acid (EPA, an omega 3 fat). Butter is about 15% short/medium chain saturated, 50% other saturated, and 30% monounsaturated fatty acids. Tallow from grass fed cattle is rich in heart-healthy fatty acids such as stearic acid and CLA. Although considered a ‘saturated’ fat, tallow has about 50-55% saturated, 40% monounsaturated and 3-6% polyunsaturated fatty acids. Lard from pasture-raise pigs has about 40% saturated, 50% monounsaturated and 10% polyunsaturated fatty acids. Being a high percentage of more unsaturated omega 9 fat, there goes the myth about lard being a ‘saturated’ fat! Lard from pastured pigs is also a good source of vitamin D.
Chicken fat, also called schmaltz, is made from 100% Organic Free Range chickens. Approximately 57% monounsaturated, 21% polyunsaturated and the rest (22% or so) saturated fatty acids. Coconut oil isn’t an animal fat. But it is a saturated fat. And a very special saturated fat at that! The composition of coconut oil is almost 50% Lauric acid, noted for its antimicrobial and antibiotic properties, and is anti-viral. Some consider coconut oil as one of the world’s best fats. We offer several foods that are made with coconut oil (chips, cereals, nut butters, ice creams and fudge sauce). HOW DO I INCORPORATE THESE HEALTHY FATS INTO MY DIET? You can experiment with any and all of these fats. Just reach for a jar of one of these fats when cooking (you do cook don’t you?). All of these are good for sautéing vegetables, braising fish or meats. Ghee has a rich, sweet and deliciously nutty flavor. Great when cooking for the buttery flavor. Good on toast too! Shelf stable for 2-3 months, or refrigerate up to 1 year. Tallow is perfect for deep frying as it handles the heat well. It can also be used in savory dishes with eggs or in stew, meats, chili or casseroles, etc. Shelf stable for about a year, refrigerate after opening. Lard works well with savory dishes. But it really shines when used to make biscuits, pie crusts and other pastries. 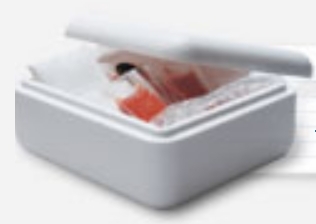 Store in the refrigerator for up to 12-18 months. Schmaltz – stir-fries, veggies, and meats are enhanced by using chicken fat. But where this fat shines is with potatoes. Fried potatoes like you’ve never had! Refrigerate after opening. Coconut oil can be added with any of these other fats when cooking, or is a stand-alone fat. Combine with ghee in your coffee for that ‘bullet-proof’ taste sensation. Shelf stable for 1 or more years. Get 8 Delicious Bone Broth Recipes - FREE! Join our e-mail list and get special offers, recipes, articles, and these free recipes. Information provided in this communication is not designed to and does not provide medical advice, professional diagnosis, opinion, treatment or services to you or to any other individual. This is general information for educational purposes only. The information provided is not a substitute for medical or professional care, and you should not use the information in place of a visit, call consultation or the advice of your physician or other healthcare provider. Wise Choice Marketing Inc is not liable or responsible for any advice, course of treatment, diagnosis or any other information, services or product you obtain through Wise Choice Marketing Inc.